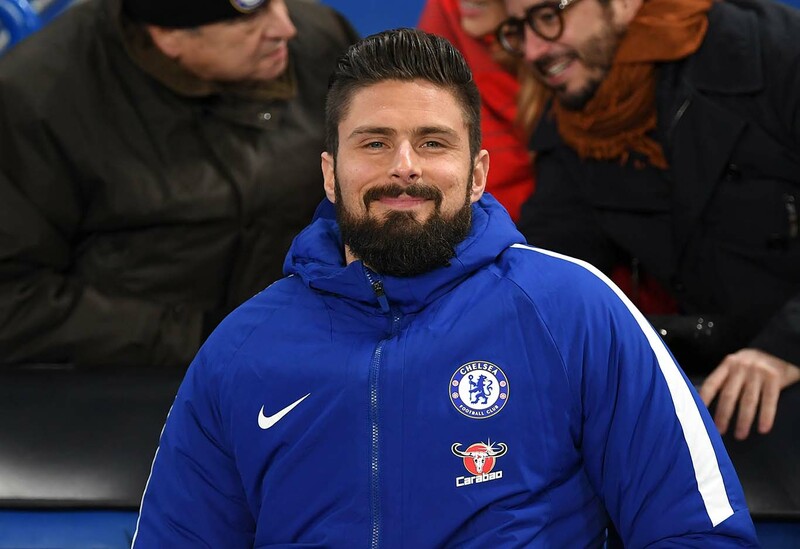 Olivier Giroud is seen in the stands prior to the Premier League match between Chelsea and AFC Bournemouth at Stamford Bridge on January 31, 2018 in London. The fixtures are coming thick and fast for Chelsea, and on Wednesday night, the Blues travel south to face Bournemouth at the Vitality Stadium. A by-product of involvement in four competitions means that fixture congestion is inevitable. Wednesday night’s match will be Chelsea third match in just six days, each match taking place in a different competition. The good news for Chelsea is that after defeat in their last Premier League match against Arsenal, Chelsea have recorded two wins, defeating Tottenham to reach the final of the Carabao Cup and beating Sheffield Wednesday to secure a spot in the fifth round of the FA Cup. With the defeat to Arsenal narrowing Chelsea’s hold on fourth place and the final Champions League qualification spot, the Blues will be hoping that a win over Bournemouth, a team that they’ve enjoyed success against in recent matches, will keep them a step ahead of both Arsenal and Manchester United. Despite the fixture congestion, Chelsea were able to rest a number of players against Sheffield Wednesday. Eden Hazard and N’Golo Kante were left out of the squad entirely on Sunday, and Kepa Arrizabalaga, David Luiz, and Pedro were unused substitutes on the night. Gonzalo Higuain could make his first Premier League start after making his club debut on Sunday. But Higuain played for 80 minutes in his debut and could make way for Olivier Giroud to get a Premier League start after such a quick turnaround in fixtures. Meanwhile, Bournemouth had 10 days to prepare for Wednesday night’s match, but they still have a couple of injury concerns. The biggest concern is that Callum Wilson has been nursing a knee injury and his participation is questionable. But Bournemouth have a bit of momentum after a win over West Ham in their last match that ended a four-match winless streak. Unfortunately, Bournemouth haven’t beaten Chelsea in a home fixture in their last three Premier League fixtures and have already lost twice to Chelsea, once in the Premier League and once in the Carabao Cup, though both matches took place at Stamford Bridge. Eddie Howe may have a glimmer of hope, however, if Bournemouth can make a fast start. One way that teams have disrupted Chelsea this season is to press high and harass them early to make it hard to build attacks through Jorginho and from David Luiz at the back. Bournemouth are perfectly capable of playing that way, but if they allow Chelsea to settle in and impose their possession-based style on the match, Bournemouth might simply need to hope that Chelsea’s attack lacks a cutting edge as it has too often this season.